Olliçio Mavuba (Arabic: مافوبا), is a former football manager. He has been the coach of several prestigious clubs including Inter Zidane and Cape Holland. He has also coached the Savoie national under-20 football team. 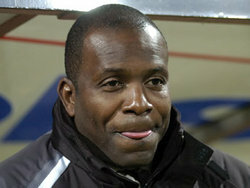 Mavuba is widely regarded as one of the world's best managers. He was also known as oil tycoon owner of Sealand and infamous user, kidnapper of 3 internationals, and mythical spammer from the old days. In 2007, he had get the punishment of definitive exclusion from Hattrick. Mavuba has managed two football clubs after his active career as a player, Inter Zidane and Cape Holland. As a manager he led Cape Holland to victory in the Sealand Cup, and to 3 league titles. As manager from Inter Zidane, he won one leaguetitle and surprised the Netherlands in the national cup (season 11), when he beats the Knights of the Hokey Pokey (was playing in III.12) from manager Mazaxus in the fith round. Since November 2006 he did some campaign and became National Coach of the Savoie U-20 team. At 23 januari 2009 he was asked by Gianmarco Massa, the former captain of Savoie U-20 team, to make a comeback as manager. 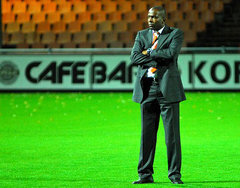 There had been speculation that Mavuba was considering to take up his managing career again. Mavuba was even famous as proffesional spammer, and became the Spamking of Belgium by winning the "Spamtopic IV". Belgium users didn't like it that a dutch manager won, but Mavuba wasn't listening to the jealous critics and continued his spam-career at Sealand. At Sealand he participates 2 times at the Tour de Spam, the first time at 2005 he did it very bad, and won the Red Lantern. At the Tour de Spam 2006, he was better, in stages he finished often at the top 10. But the new generation spammers were difficult to beat. Now Mavuba is known as a mythical spammer from the old days, on his way back. On September 28th, 2003 Mavuba decided to start a federation. Mainly because he didn't like to have a conference that was supervised by strict Mods, GMs and HTs. That's why he and Buul came up with the plan to pull out to a drilling platform between The Netherlands and England, where only we could be in control of. The federation on the island Sealand soon became a great success, and soon many ships with members arrived! After a short period of time the federation got the name of being a bad federation, full of annoying, spamming youngsters. For example, within a short amount of time the island found itself in war with some Mods and GMs, but also in a spam war with OLDER (a federation for people who are thirty years or older). After a long period of negotiations the battle ended and the peace with the Mods was restored. Sealand now is known for being a nice cosy federation, where the best spammers of HT-Nederland and België have a great time doing their thing. List of Infamous Football Managers in Hattrick. Sealand, a federation and an unofficial country in Hattrick. Sealand Cup, an annual football tournement and one of the most prestigious club trophies in Hattrick. This page was last edited on 24 May 2010, at 22:05.